Embryonic diapause is a temporary suspension of development at any stage of embryogenesis, which prolongs the gestation period, allowing parturition to occur in conditions that are more suitable for newborns. This reproductive trait is widespread among all vertebrates, including elasmobranchs. Although it has only been confirmed in two elasmobranchs (Rhizoprionodon taylori and Dasyatis say), evidence indicates that at least 14 species of rays and two sharks undergo diapause, suggesting that this form of reproduction exists within a wide range of elasmobranch reproductive modes, including lecithotrophs and matrotrophs. Where it has been studied, embryogenesis is arrested at the blastodisc stage and preserved in the uterus for periods from four to 10 months. There are still many questions that remain unanswered concerning the knowledge on the biology of most diapausing species but it is clear that species benefit differently from this reproductive trait. 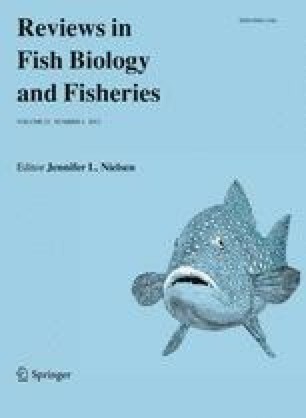 As in other vertebrates, it is likely that environmental cues and hormones (especially progesterone and prolactin) are involved in the control of diapause in elasmobranchs, however rigorous testing of current hypothesis remains to be carried out. We are grateful to Jennifer Wyffels for providing the image from the diapausing blastodisc of a Dasyatis say and CSIRO publishing for authorizing the use of figures published in the Australian Journal of Marine and Freshwater Research. We thank A. Harry and two anonymous reviewers for helpful comments on the manuscript.